Most of my prior thinking had been focused on the profit and loss aspect and how the only valuation system capitalism uses is money. I had originally thought that I would want to discuss the lack of any ethics or social values in the definition and how that void gets filled by the profit imperative. However, what I found myself focusing on first was the phrase “privately owned”. I was immediately writing about the concept of ownership. In the wake of three mass shootings in the US, this week, I found myself reaching the conclusion that any society which embraces the idea of private property is, at it’s core, violent. Violence is the very foundation that society. I found myself unable to focus on anything else. I realized that any system which includes any kind of ownership claim has to be violent. So, this isn’t a strictly anti-capitalist exploration. It’s an ownership exploration. So, can we talk about how we are a fundamentally violent culture? How that’s a feature and not a bug? Can we talk about whether we want to be that? Whether we can change that? I’ll walk you through my thoughts which led to “ownership = violence” and my not-yet-fully-formed ideas of alternatives and a vague sense of how to get there. My hope is that we spark the beginning of a growing dialogue. Can I begin by saying how much I have enjoyed the Labour party leadership elections? I was set not to when I saw the original candidates for the post. It was downright dispiriting. Then Jeremy Corbyn declares his candidacy, we have the nail-biting nominations process, he gets through, the Unions start coming on board, the Constituency Labour parties supporting him hands down, the purges by Labour of those that “do not share its aims and values”, now Corbyn as the frontrunner of an election which will be declared next week. This has not only been exciting, it has been a breath of fresh air and it is a conversation that Labour has needed to have for quite a while. I have enjoyed it thoroughly, now we just need to hope that the grandees of the Labour party do not pull a fast one and he is expected to win. Yes, win! In many senses, Jeremy Corbyn’s campaign has shaken the political landscape in Britain. There are a number of things that have led us to this place (among these are the Scottish referendum and the collapse of Scottish Labour, and the general election result which the Tories won), but I think the straw that broke the camel’s back actually was the decision of Labour’s grandees to abstain on the Welfare Bill enabling a vicious attack on women, the disabled and the working class to pass with opposition coming from the Scottish National Party, the Greens and Plaid Cymru. It became evident that while Labour claimed to be the opposition in Parliament that they had proved themselves to be enablers of the Tories rather than an opposition. Jeremy Corbyn is set to win the Labour leadership election; by August 24th he had moved into the front of the pack with odds of 3/10 of winning. For those that haven’t heard of Jeremy Corbyn, let me introduce you to a left Social Democrat who is one of the few remaining in the Parliamentary Labour Party (PLP). He is the Member of Parliament from the People’s Republic of Islington representing Islington North. He is a man of integrity and principles and has a long list of defying the Labour party whips more than 238 times at least according to The Sun. Normally, I would never quote The Sun, a right-wing Murdoch spread, but you do need to read this if only to get an idea of how Corbyn is being characterised. 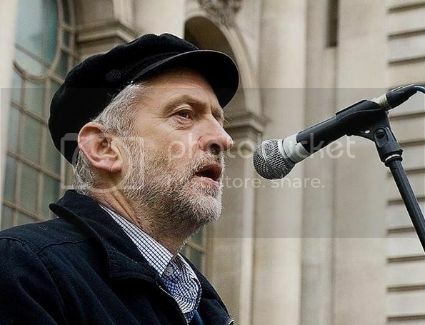 Corbyn is a supporter of the Campaign for Nuclear Disarmament and the People’s Assembly, is a member of the Palestine Solidarity Campaign and Amnesty International. He opposed the Iraq War, supports LGBT rights, supports a united Ireland, opposes tuition fees at Universities, opposes the creation of Academies and Free Schools, supports the introduction of a living wage voted against the horrific Welfare Bill (that Labour MPs were supposed to abstain on), has spoken at demonstrations of the People’s Assembly, against the Iraq war, against austerity among many others. He is also a vegetarian, supports animal rights, wears old jumpers and often wears a black cap (yes, it is similar to Lenin’s). His candidacy differs from Bernie Sanders (and this is not only because he is further to the left of Sanders) as he is not an outsider seeking to be leader; he is a long-term member of the Labour party and a member of the Socialist Campaign Group. He will probably win the Labour leadership contest despite opposition from the right, centre and centre-left of the Party and despite smears in the mainstream media from fellow party members and members and ideologues of the ruling class. Moreover, the momentum behind him does not come as much as from within in the party itself as from those who left or are outside of the Labour party due to its transformation into New Labour which lost them the base of the party. Quest for Oil Gamers hunt for the best oil fields in deep water off Qatar and in the North Sea. And to master the challenge players need to learn and test analytic skills looking for oil on a seismic map. Once a likely location is assessed, accurate drilling techniques are needed to avert disaster as players test their wits against “an artificially intelligent digital opponent” that is dedicated to making players lose. Imagine if seismic analysis was not applied to the oceans, a more open frontier despite the Law of the Sea but to the task of fracking, what kind of multi-player online role playing game (MMORPG) could be hypothesized – sim occupants fleeing their devalued homes and with real-time strategy you could predict the earthquake or poisoned water using your smartphone apps. The first step has been taken with the maritime giant Maersk with a recent MMORPG. Rather than bullying feminists, now the misogynist Canadian gamergaters could help terrify thousands with digital tar sands CGI simulations, and maybe even add a Call of Duty patch to kill digital inhabitants of oil producing countries. Quest for Oil is a multiplayer online game to help supply globalization not unlike America’s Army in the propaganda battle to continue to resource the shock doctrine and hence maintain global armed conflict. It raises new questions about what gets to be culturally appreciated as though resource accumulation could be a projectable commodity with few renewable substitutes and oil exploration was somehow something like “boldly going where no one has gone before”. OTOH budding geologists could be enticed to see that their work has no apparent social costs or externalities. The Middle East leads the board in crude exports with 850.1 million tonnes shipped out in 2014. It’s followed by Russia (294.8), West Africa (213.9), and Canada (148.6). In terms of product exports, like gasoline and diesel, the US is No. 1 with 179.9 million tonnes, closely trailed by, again, Russia and the Middle East. On the flip side, Europe is the biggest importer of both crude (446.9) and product imports (173.5). The US, China, India, Japan, and Australasia are also major consumers of both crude and refined product. This map also serves as a pretty good tool for seeing who benefitted from the lower oil prices, and who suffered from them. ….the reappearance of structural scarcity in the realm of energy enabled the OPEC countries to multiply the price of oil by ten in the 1970s, i.e. to have it determined by the oilfields where production costs are the highest, thereby assuring the owners of the cheapest oil wells in Arabia, Iran, Libya, etc. huge differential minerals rents. Marx’s theory of land and mineral rent can be easily extended into a general theory of rent, applicable to all fields of production where formidable difficulties of entry limit mobility of capital for extended periods of time. It thereby becomes the basis of a marxist theory of monopoly and monopoly surplus profits, i.e. in the form of cartel rents (Hilferding, 1910) or of technological rent (Mandel, 1972). Lenin’s and Bukharin’s theories of surplus profit are based upon analogous but not identical reasoning (Bukharin, 1914, 1926; Lenin, 1917). There can be no doubt that the behavior of international capital is a major driver of immigration. Looking outward from the US alone, capital has long been at play in Mexico, Central America, and the Caribbean, extracting resources and supporting dictatorial elites with little interest in economic development, forcing many of those deliberately impoverished masses to look north. Capital builds and destroys economies and rends people’s lives to the point of desperation, forcing the poor to pick up and move wherever they can to survive. Ironically, there is great controversy over immigration in the developed world whose system did so much to create the prospective immigrant’s desperation. In the United States and Europe the right is obsessed with immigration as a threat to cultural identity; but immigration is also controversial in the center and even on the left, or what passes for the left, allegedly because it depresses working class wages and diminishes the prospects of native-born working people. Yet if we look at the history of the United States, we see that mass immigration can co-exist with broad prosperity or even drive it. The US absorbed millions of immigrants from the 1880’s to the 1920’s and they helped to build the wealthiest, most powerful nation that ever existed. The US continues to to absorb large numbers of immigrants, documented and undocumented, and still the nation’s wealth expands, if mostly for the elite. As anti-capitalists, we are naturally suspicious of the nativist, chauvinist notion that immigration is a threat to our security or prosperity individually or collectively, yet few of us would say that immigration without conditions or limits would produce a good result for immigrants or the native-born working class. How do our various leftist perspectives on immigration address objective conditions in developed economies? Does the working class of one nation owe a welcome to all others who want to come? What is in the long term interest of workers at home and around the world? I’ve been running around to various left conferences this spring and summer and everywhere I go the cooperative movement is touted as the potential savior of the global economy. Admittedly, cooperatives are only “a grain of sand on the beach” (to use a summer metaphor)when one views the entire global economy. At this point it is also not clear that the interest in a cooperative economy is not just a desperate hope that something – anything – can save us from total economic catastrophe as capitalism seems to be in its last throes with levels of inequality that cannot be sustained. Do cooperatives really have the potential to be a transition to another more fully progressive economic form that can replace capitalism? Or is it – as cooperatives generally have been – a temporary safety valve during depressions which disappear or are assimilated over time or a capitalist reform as capitalism regains its footing (i.e., the mines in England, the paper plants in the Northwest United States, the electric cooperatives in the Southwest United States). Since the cooperative movement is currently the fastest growing movement for systemic economic change it deserves an overview of what it is and where its going –which I will attempt to do, in a very limited way. 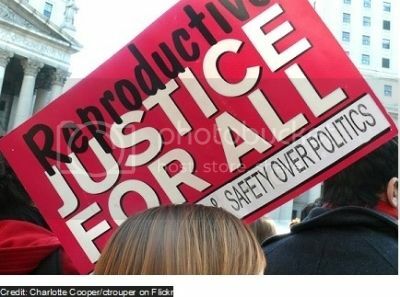 ACM: On attacks on women’s reproductive rights: budgets, no choices, and eugenics, oh my! An incident at dinner in Italy during my vacation there and the subsequent discussion has driven me to prioritise this piece. Following a wonderful dinner at a local restaurant, one man decided that it was time for us to listen to his misogyny on women’s reproductive rights. I knew he was saying offensive things as the two English speakers at the table refused to translate what he was saying. Upon my insistence, he tried to speak in English, but what he was saying was so offensive I refused to believe he was saying it. I turned to my husband and the other English speaking friend and they shook their heads yes, that is what he was saying. This man argued that women have to the right to choice but if they get pregnant with a child they do not want, they must be forced to carry the child to term and to give it up for adoption. Those that know me would not be surprised at my angry response in which I spoke of women having the right of property in their own body, spoke of bodily autonomy and reminded him that we were not incubators, but human beings. I concluded by calling him a misogynist and telling him that this was not an opinion but hate speech. Abortion has been legal in Italy since 1978 when Law 194 was passed. While not a perfect law, it was won after intense struggle by the women’s movement. This law not only guaranteed access to abortion, but access to reproductive health care, contraception, and a whole range of rights for women and these were tied into public health provision. Like in the US (and this has been a failing in both countries), the conscientious objector clause has led to a decrease in the numbers of medical professionals willing to carry out the procedure on religious grounds (and in the US due to pressure from anti-abortion activists). So to hear someone (who is not religious) babbling this crap at me following dinner was way too much. So, who ruined dinner? Was it him or me? This incident highlighted something that has become extremely obvious and this applies both to women’s rights and to racism. The days when someone who held these offensive positions knew to keep their mouths shut is long gone; instead they pose hate speech as opinion and demand their right to preach it. Our response must be swift and strong so that these troglodytes are driven back to the primordial soup from which they have barely crawled out from. In a follow-up discussion on the way to the car park, I told my English speaking friend what just passed the British parliament as part of the Welfare Bill. I told him that the Tories are changing the nature of the social welfare state which covered all women (child-tax credits, child benefits) to only cover the poor and working class. And then I told him about the limits to benefits only to 2 children in the future. I explained that the former made it easier to eliminate benefits totally (why should taxpayers take care of the working class – employed and unemployed — after all?). I explained the latter policy was a form of eugenics and was a neo-Malthusian policy. While he agreed with the former (he is a mainstream neoclassical after all), he was horrified at the latter (maybe because he has 5 children and has benefited from receiving benefits in several countries to help with covering the costs for all his children). When women talk about reproductive rights and justice they are not only speaking about women’s rights to not have children. This is an essential part of reproductive rights: the right to choose not to have children, to have access to birth contraceptives abortion and voluntary sterilisation. But we are also speaking of the right of women to have children and to determine when and how many. This right has been most often denied to working class women, disabled women and to women of colour. Sterilisation abuse and forced usage of birth control against working class women, disabled women and women of colour is part of a long-term agenda of eugenics and neo-Malthusianism. Wealthier white women fought for the right to not have children and to choose when they had them and to demand sterilisation without the consent of their husbands. Eugenics law that promoted the “betterment of the human race” by forcing wealthier white women to have children also led to laws that demanded the use of birth control to access welfare benefits and forced sterilisation for working class women. These laws have been the tools of choice against working class women, women of colour and disabled women and have been used to prevent their choosing to have children and to limit the numbers that they had. In the US, to this day, eugenics laws are still on the books to be used against disabled women; Buck vs Bell (1927) in which the Supreme Court ruled that compulsory sterilisation of the unfit did not violate the Due Process Clause of the US constitution. This endorsement of negative eugenics has not been repealed and still stands as US law. So to say that to leave things of the past in the past doesn’t really hold up as these things of the past tend to revive. After all, patriarchy is still strong and these arguments are not only a position of patriarchy but of the bourgeoisie that does not feel the need to humour women in their bizarre beliefs that they, not the family, not the church and not the state control their own bodies. Anti-Capitalist Meetup: How Neoliberal is Hillary Clinton? The term “Neoliberal” is used a lot here at Daily Kos: 203 posts included the term during the first half of 2015 alone, a little more than one every day. Many of these posts stimulate lively discussion, especially regarding the alleged neoliberalism of various Democratic Party figures, most notably President Obama and Hillary Clinton. Quantity is not always a sign of quality, however, and many of these discussions suffer from a failure to define neoliberalism adequately or even at all, leading to understandable confusion and misplaced accusations that the term is meaningless. This post will try to avoid that pitfall by proposing a definition of neoliberalism that emphasizes its nature as an ideology, and will then apply that definition to one of Clinton’s most important recent speeches, in which she was widely reported to have returned to traditional liberalism. Polytheistic idolatry is the only thing that gets destroyed, says Daesh, which somehow rationalizes the destruction of historical antiquities, as though there can only be one history, apparently a Sunni and/or Ba’athist one. Only statues that are deemed idolatrous would get destroyed or apparently as originals resold with copies destroyed for social media documentation. But what counts as idolatrous in a modern commodity economy. Daesh is only controlling the mythology reproduced by the media in order to further not the goals of actual religious beliefs, as they are simply looters maximizing accumulatable wealth. One can say that they are even projecting a pre-modern accumulation of dominance and subjugation returning West Asia and North Africa to some pre-capitalist mode of production. Of course the ideological contradictions will flourish as Daesh elites will keep their modern networked social media and slick magazines as well as their modern weapons in an attempt to reduce all other variants of Islam to their hegemony. Daesh are not the Sentinelese or the Auvergnats – they are common crooks, the lowest form of banditry tarted up when they refer to their genocidal barbarism as a “management of savagery“. ISIS’ efforts to erase pre-Islamic pictorial art successfully communicates their brand image. What ISIS fails to mention is that they are destroying fakes. Blouin Art Info reports that upon the release of the Mosul Museum video, experts determined that “most, if not all’ of the statuary on view were plaster fakes. The officials at the Mosul Museum had previously transported the originals to the Baghdad Museum. The New York Times reported that many of these sculptures were replicas of ancient objects and a portion of the sculptures on display were reconstructed from fragments which included original shards of ancient sculptures. Fox News’ misreading is that this is something more immoral than the actual activity of the market in art forgery, made complicit often in human history by an entire discipline of art history and archaeology so that Fox’s headline “How ISIS created a terrorist art market“, is simply that they are following practices of pillaging going back even before the period to which Daesh wishes to return if only symbolically. Of course the killing of suspected homosexuals will deprive Daesh of many of the population from which the making of such artwork come. These are the premodern warlord-despots of an imagination-free fundamentalist world of gender, class, and ethnic subjugation. They predictably lack the civility of the Greeks upon losing their (Elgin) Marbles. Whether worthless or priceless the verdict for destruction is the same. The current terrorist art and antiquities market is dictated by two factors: (1) can an item be transported to a location where a buyer exists for it, and (2) can the artwork be passed off as legitimate once it arrives.